One of the toughest challenges for those operating in public/private nonprofit sectors will be to find, recruit and enlist young adults as volunteer board/council/committee member-leaders. With today’s aging workforce and the demographic shifts across the U.S., finding citizens that can commit/dedicate time to a certain public service “CAUSE” will be increasingly difficult. Addressing this issue over the next ten years will be critical to the public service system. Why? Because the number of current leaders “aging-out” will be very high and younger candidates will just be gaining competency in their own careers. Therefore, the task of Finding Leaders to be the Next Greatest Board/Council/Committee members is a yesterday… today… and tomorrow job. 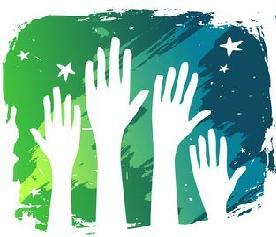 Vital volunteer groups that fall on the membership critical list range from Boards of Education, Lions Clubs, Junior Achievement, Big Brothers/Big Sisters, workforce/economic development agencies, Future Farmers of America to sports councils, community clubs, parent-teacher organizations and Rotary groups. It may be true that many of these groups have diversified their original goals and purposes; however; the new member need still grows as they continue to dedicate themselves to appropriate public service causes. The reality of this member-leader gap was demonstrated to me recently when I was asked to address a small special volunteer group convention. It was a pleasure to witness the strong dedication and contributions made by members. Likewise, the sense of purpose and pride for helping communities in multiple ways was felt in every smile and handshake. However, when I looked at the nearly two hundred members and guests in attendance, I realized the average age in the room was well over 60! My expanded awareness of both the high value, example setting capacity of this volunteer organization, and the upcoming void in apprenticed leaders, was overwhelming. Volunteering for any extracurricular public service cause is extremely difficult in today’s high-tech, 24-7 world-of-work. The pros and cons of having greater connectivity for personal and professional use are debated every day. However, no matter where you stand in the debate, time is the key element that is demanded. As a result, joining (and maybe leading) one of the volunteer public service organizations mentioned is difficult for any young adult who is working hard at their regular job, maybe buying a home or even starting a family. So, what can we do? In order to effectively address the Finding Leaders to be the Next Greatest challenge, there is a logical need to prioritize the separate issues that roadblock progress. First, in almost every board/council/committee circumstance, young people lack an awareness of what volunteer organizations really stand for. For instance, what do Lions Clubs focus their “help” on? How about the Future Farmers of America… what are their priorities today? Do these groups rely on old missions and purposes or have they evolved? How do workforce/economic development agency boards/councils/committees fluctuate their focus? People who may be great new members just don’t know the answers to these questions! Second, volunteer organizations and their board/council/committees thrive due to an “All Hands on Deck” philosophy. By this I mean only very rarely are their service priorities achieved online. Instead the beauty of experiencing a Big Brothers/Big Sisters event, observing the mentoring assistance offered by Rotary clubs or realizing the impact of a youth sports camp sponsored by an area community group, can only be accomplished with member-leaders in attendance. Finally, it has been documented that today young adults are much more interested in “giving back” to their communities. Fortunately, the positive impacts of most volunteer efforts are prepared to offer this give back option and at the same time satisfy that youthful immediate gratification desire. Finding Leaders to be the Next Greatest is a task which must be taken and pursued on a personal level. One of the key recruitment steps would be: TO GO WHERE THEY ARE! Arranging to talk to high school students and visit college classes to “tell the story” of your organization would be simple but effective. Given all the time demands and technological distractions for young adults, only a direct conversation will provide quality results. Next because we live in a “show me” world, it will be necessary to display and explain the community development impacts that will come from their volunteerism. This opportunity to highlight real-time results will offer a new age “we will try to meet you halfway” strategy that may draw them to contribute their time… and perhaps their leadership. Finally, because the need for change goes both ways, be sure to have your organization look in the mirror too. Has it changed to better accommodate the demands placed on the time of young adults? Has technology been allowed to play a bigger part in member recruitment and organization operations? Mostly, have your members taken the time to tell the wonderful stories of personal volunteer efforts and the special/unique results that often occur? Right now is a good time to start. Author: Marvin N. Pichla, Ph.D., is the owner and creative adviser of Inspiring Innovations, Inc. Sharing his unique entrepreneurship and innovation in public service experience, Marv consults with public and private business, education and community organizations to develop new and different problem-solving methods through real-life, example-based learning. Email: [email protected].